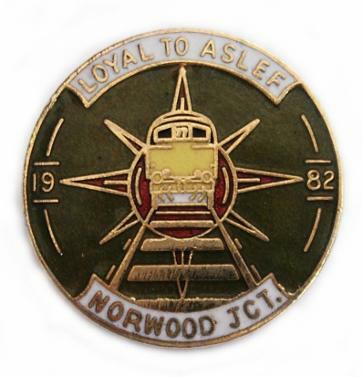 Norwood Branch Secretary from 1949-1959 the above badge was hallmarked 1951. M.I.C. good Branch Meetings fair; very necessary now for all to attend the meetings owing to the effects of this MODERNISATION on us. Pleased to see Bill Boulton still doing his stuff, Grand chap, Bill - tried and very much proved. The 1956 A.A.D. has gone; serious decisions were made. I have no doubt about the way they dealt with the General Secretary and the E.C. It is up yo us to give our support to make them a success. Why ask us yo work our Rest Days on Saturdays and Mondays (which we refused)? We have not enough work to employ all our men on these days now, so we can say we have saved them money be refusing! We have a job as a Fireman for Terence Feeley of the Sunday Graphic, and then he can get a Free Pass, I am sure he would be sure usefully employed than by writing articles such as he wrote on June 24, and we hope he liked our resolution. So long, chaps! The men’s side of Norwood L.D.C. consider that the matter of employment of young persons should be first raised by the B.T.C. 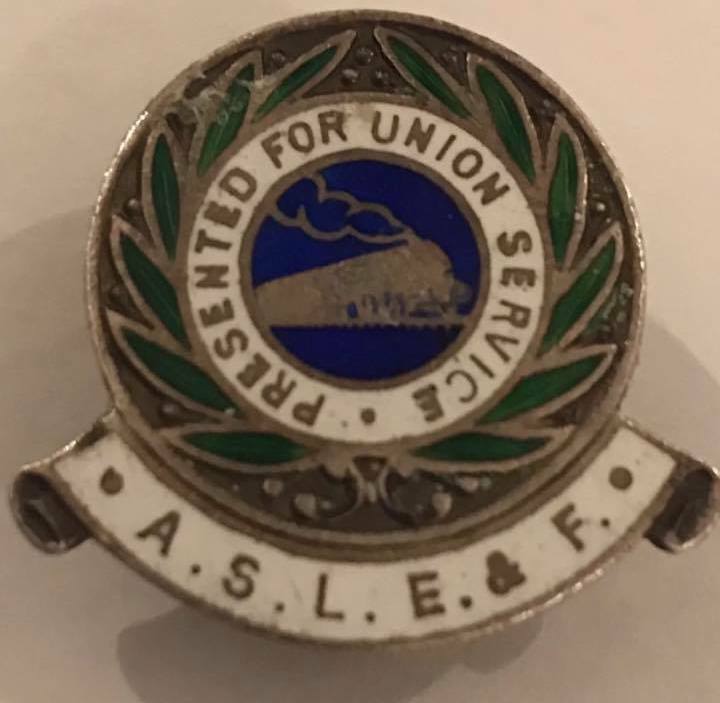 with the trade unions; it is still the policy of the A.S.L.E. & F. that 18 is the age for employment on the footplate. If this was done guidance could be given to L.D.C.’s as to how to work those who are already on the footplate and not yet 18. It would be most unfair to except Firemen over the age of 18 to do all the night work and those under all the day work, and in our opinion could not operate in a successful manner. Young person engaged today on the footplate are in numerous cases not strong enough to do the work. We agree some youths are remarkably good for their age, but in the main, no. We consider that after the B.T.C. and the Unions have dealt with the matter, it should then (if necessary) be dealt with by all L.D.C.’s on a Regional and Sectional basis. We also consider that if the job of the Footplate Staff was made more attractive such matters as this would not arise. M.I.C. attendance excellent; to YOUNG ‘UNS reaching 23, get to the classes; we have asked for all of that age in Links 1 & 2 to be passed. Rates of pay should be £16, £12 and £8; hours per week, 40; pensions at 60, half standard rates of pay. It is with regret that we find that Bro. Ted Bowsher will be missing from the Sectional Council this year. To Ted, thanks a lot! M.I.C attendances good, Johnnie and Bob still doing their stuff. To them we say, “Thanks a lot”; to those who do not attend we say, “Get cracking” if you do not want to fail the Driving Exam. as some have done. Meeting poor, why? Moaming in lobbies get us nowhere. L.D.C.’s cannot take real notice of moans from such places. The aristocrats of these lobby backchats can be dangerous to us all, as in most cases they do not know what they are talking about. If they came to the meetings they might, which is the only sure way of getting things dealt with in an orthodox manner, and put right. Payment for the job and our conditions are today truly abominable. A Geddes Axe is needed on the Railway administration, as the first thing to try and make the railways pay. It is top heavy; no outside firm could exist with such a weight. Messing about of Engine Workings and other pranks practised by a few should cease. If these few want their little fun and games they should try them on themselves for a change, because we on the front have had our fill, and are bubbling over. 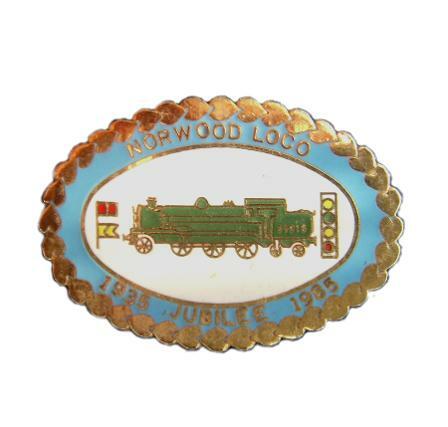 From Norwood to all Branches: May 1959 bring us Full Meetings, a Fair Crack of the Whip for the Front of the Train, and a Labour Government, all of which are long overdue! Attendance at meetings not good; hoping for an improvement during the winter months. Clear cards by 31 December should be the aim of all of us. Retirements; Bros. Weston, Clark and Harper. Still vacancies for 15 Drivers at our depot. Continual alterations to Engine Workings make our rosters a mockery and very little social life available; Tender First Running increasing and unsuitable engines booked on certain duties which makes our to more trying. What a way to run a Railway! Better pay and conditions is the only way to get the right chaps to stay on our job. Thanks to Assistant General Secretary for the compensation obtained by him for Bro. Killick and myself. I have visited Austria and Holland this year, and conversed with railwaymen there, and I found that their conditions are much better than ours, WHY? At a recent Special Meetings our members, by a unanimous vote endorsed the action taken by our E.C. over the one-day Strike and their efforts to try and implement the 1962 Conference decision. 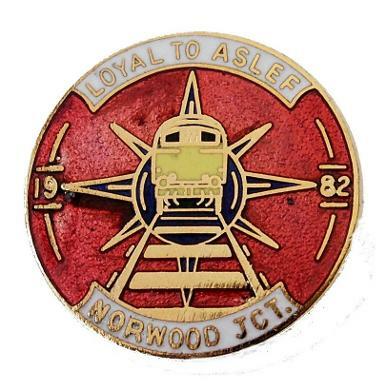 A very happy Christmas to all Branch members and Head Office Officials and Staff, is the wish we send from Norwood Junction. Several members recently transferred to Electrical branches, but new entrants keep the branch at strength, with Political and Journal sales good. Rule 5, Clause 14 is still “inadvertently forgotten” by quite a few; it is posted in our depot case just to refresh memories in the interest of those few. We think a “Closed Shop” is long overdue on our job, and this should be our motto 1963. The L.D.C. have their plate full owing to continual alterations to engine workings, which makes social life nil. Revisions once each month now, plus the usual weekly alterations and daily tampering. “Birth control duties” increasingly; maybe this is why we are still short of 12 drivers. 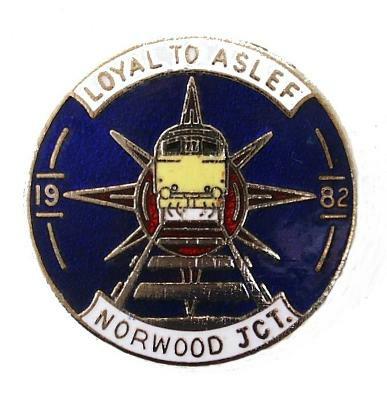 A joint approach by the Norwood L.D.C.s to higher officials and, unless matters are rectified, T.U. Head Offices can expect some fireworks! Essex House has some very competent officials. We say to them, “Get cracking on those who are taking us chaps for a ride.” Rosters are now just a mockery. I retire from the B.R. in 12 months, so Norwood will want a Secretary. Any applications? Get cracking, chaps. Good luck to Bill Evans in the fight for the 40 hour week. Thanks and good wishes to Bill Evans on his retirement. We wish his successor the best of luck in his very difficult task, at a very difficult time. We know Albert Griffiths will not fail us. It is quite obvious to us all that a Labour Government is the answer to most of our problems. The present Tory crowd have not got the guts to go to the country at the moment, because they know where they will go - out of office. They are showing a very bad white feather and the Labour Party is shaking them with honest facts, without the assistance of Profumo. Bro. Charlie Newton has just retired, another good Trade Unionist lost to us. Bros. Cabell and Nivison have earned themselves the E.C. medallion for making new members; there is still chance for another to do this, we still have eleven Sons. They must be roped in, for the benefit of us all. We must have facilities in our depot which allow us to conduct ourselves as human beings; better washing facilities, lobbies and lighting, and a clean depot, is the answer. With 100% Trade Union membership we can still attain proper payment for our responsible job, and a pension on retirement equivalent to the salaried staff. A.G.M. attendance fair. All branch officers filled for 1964. L.D.C. election controversy has now being resolved itself, and I trust all concerned will live together happily ever after. Thos who have joined us here from the North are a grand set of trade unionists, and the combination of North and South augurs well for all in the future. I regret to announce the passing away of Bro. Bert Goodhall after a long illness. A good trade unionist was Bert, and may he R.I.P. By the time this article appears I shall be no more on the “Front End,” owing to having retired at the age of 65. Also my A.S.L.E. & F. work will have been finished after 45 years. I have attended A.A.D. under five “Generals” commencing with the late Jack Bromley, and many friends I have made there from all parts of the British Isles, who will live long in my memory. To my own members here, again thank you for the very kind words and the splendid ovation given me at our A.G.M. I am sure all will give to my successor, Johnnie Hewing, the same fine assistance as you have given me. In conclusion, I say to you all members, forward the A.S.L.E. & F.! It’s in you hands. Dum spiro, spero. “Au revior and Happy Hunting” is the wish I give to you all. The first year since I was elected Branch Secretary has now gone by, and thanks to assistance from other officials my job has been made easier for me. 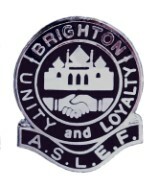 Branch meetings for this past year have been more in number but there are still not enough members attending other than the same faces each time; we are hoping to see more in the New Year as our depot is being moved to a new site in Norwood Yard, and that this is sure to cause some unrest and new problems to our members. We have two members on the L.D.C. this coming year, and we hope that the men at the depot will co-operste with them in their duties; they are Bros. H. Plumb and G. Andrews. 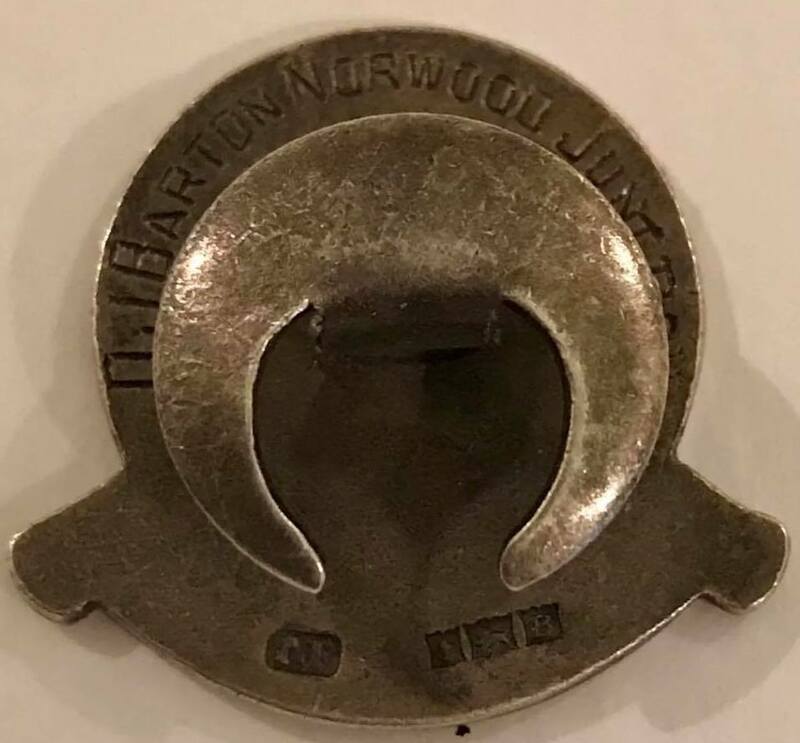 Norwood Junction M.P.D. has recently taken up its premises and walked, so to say. The depot has moved, lock, stock and barrel, to newer pastures and of, course, there are the attendant difficulties and hardships for the staff concerned. Once again we have the sorry spectacle of a wholesale removal before the new depot is half completed. Maybe the Southern Region has treated its staff a little better than, for instance the London Midland in this matter - but this transfer could have been handled in better style if a little more thought had gone into the preliminaries. Alan is Taylor made for medal! ALAN TAYLOR of Norwood Junction branch received his 50 year medallion from District Organiser Graham Morris last month. Alan retires after many decades of loyal and selfless service as a local representative, chair of the Council of District and a member of the Appeals Committee. long and happy retirement and years of activity within the retired members section. I would just like to take this opportunity to thank Roy Luxford for pursuing my claim for Sunday payment when off track. I had an incident in June 2008 and was off track but with a Driver Instructor (DI) on a coaching plan, and was told that I could not work my rostered Sunday. This resulted in 16 months of Roy pursuing my claim, with the help of once-a-month emails from myself, before it was paid out - despite the fact that it was provisionally agreed in November 2008. Only the sheer determination and perseverance of Roy made it happen. This is a good example of the type of hard work that the union does on a day-to-day basis that members often don’t see or hear about. The union does great work representing people every day. Thanks again to Roy Luxford and the time and effort he has given this claim. Branch Secretaries take over stately home! Stoke Rochford Hall, a stately hall near Grantham owned by the teacher’s union, was the beautiful setting for the four-day 2011 branch secretaries course. it was the first course A.S.L.E.F. has brought in-house, and was run by National Organiser Simon Weller; ably assisted by Executive Committee members Nigel Gibson and Marz Colombini. The variety among the 17 delegates gave a good range of viewpoints. We came from Edinburgh to Three Bridges, St Blazey to Saltley and Wales to London’s Underground, and included a couple of assistant secretaries and a chairman among our number. The first day covered the much-overlooked, highly necessary but sadly mundane Branch Secretary’s job of form filling, while the second discussed branch motions and resolutions, organising and running branch meetings, dealing with circulars, and the art of minute taking! That afternoon saw the first visiting speaker, and also provided probably the most moving moments of the course. Victor Figueroa Clark from Justice for Colombia spoke about the difficulties and dangers of being a union member in Colombia. I don’t think anyone present had truly understood the situation trade union activists face in that country. Victor showed a dvd which documented some of the many people who have been killed or gone missing over many years. Day three led us through the intricacies of the A.A.D. (the union’s annual conference) from writing agenda items at branch level to what happens on the floor of the conference. this went well until Marz started explaining what a substantive motion was. it was downhill all the way from there! We wound up this excellent course with a session on recruitment. it was helped by the friendly, relaxed attitude of Simon, Nigel and Marz, but most of all by the focused attitude of all the participants. I feel it has armed me with the tools necessary to undertake my role as a branch secretary for the year ahead. I would highly recommend the course to everyone who is a branch secretary or who would like to become one. Steve Bull, a great friend and servant of ASLEF, passed away on 8 October 2016 at Saint Christopher’s hospice, surrounded by his family, after a mercifully short battle with lung cancer. 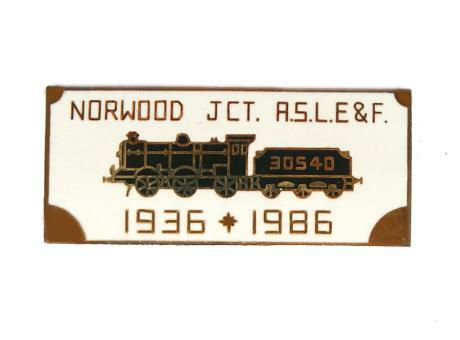 He began his railway career, which spanned more than 40 years, as a second man at Norwood. There was a brief sojourn when Steve worked at his brother’s garage, but the tug of the railway was too strong and he soon returned. He became a driver instructor and, when the position became available, Norwood health & safety rep, at one point the most highly qualified local staff h&s rep, to the immense benefit of all our members. Steve had a great love of family; his own, his colleagues, and his railway family. No matter what happened at the end of a debate he’d always ask how you and your family were. His patience knew no bounds, and this showed as he nurtured each of ‘his’ trainees along. He followed their progress long after they had left his care. Whenever you needed an opinion, Steve’s would be reasoned, backed by knowledge and, no matter what you wanted to hear, it would be the right one! Steve leaves a loving wife, three lovely children, and a long lasting legacy at Norwood depot. He will be remembered by all who knew him for a long, long time. The union room at Norwood has been renamed the Steve Bull so his name lives on at the depot he cherished. Rest in peace Steve. A Norwood man, enough said. because that man had a backbone strong as running rail steel. all the rest, is what impresses you? Well, that’s fine I guess! could pull a thousand slew, up and down three hills. If courage is your benchmark, a list maybe of daring dos. You talk the talk but, really, could you fill old Stevie’s shoes? the fire in his heart, to a Diesel 66 in full throttle. some have fallen by the wayside, some I tried hard not to hate. The last time I saw Bully, I looked into his eyes, and said ‘Take care’. in the knowledge that a real man would soon be dead. Thinking about doo, as someone new to the industry, i thought of Martin niemöller, the lutheran pastor who spoke out against the nazis. First they came for the metro guards, and i did not speak out, because I was not a metro guard. It was nothing to do with me, but I did get more money. Then they came for the platform staff, and I did not speak out. I did not need them, as I had cameras to see with. Then they came for the ticket office staff, and I did not speak out, because it was nothing to do with me. I did not need them, they had machines to collect the money. Then they came for the rest of the guards, and i did not speak out, because I was not a guard, but i did get more money. It’s only a matter of time before they want to replace train drivers; our turn will come, and those who say they will not be able to replace train drivers should look at all the different industries that now have automated systems. Many of us came into this trade because of automation taking our old jobs. I came from the print trade, and can remember when computers first came in, and we said they could never replace what we did, as it was all done by hand and so skilled. Within 10 years, we were all unemployed and now every house has a computer that can do page makeup and print anything you want. Who needs printers? We are not just fighting for our jobs, but the jobs of our children and grandchildren. taking the money is a short-term solution. We may benefit, our children will not. automation will slowly be rolled out to replace all working-class employment. We are looked upon as an expensive commodity, which they would like to do away with. We cannot stop it, but we can slow it down and should resist wherever and whenever we can. We must all wake up and say no to doo, support the guards, and take action to stop this automation. it may cost us in the short run, but in the long run we might keep our jobs and secure jobs for the future for everyone.